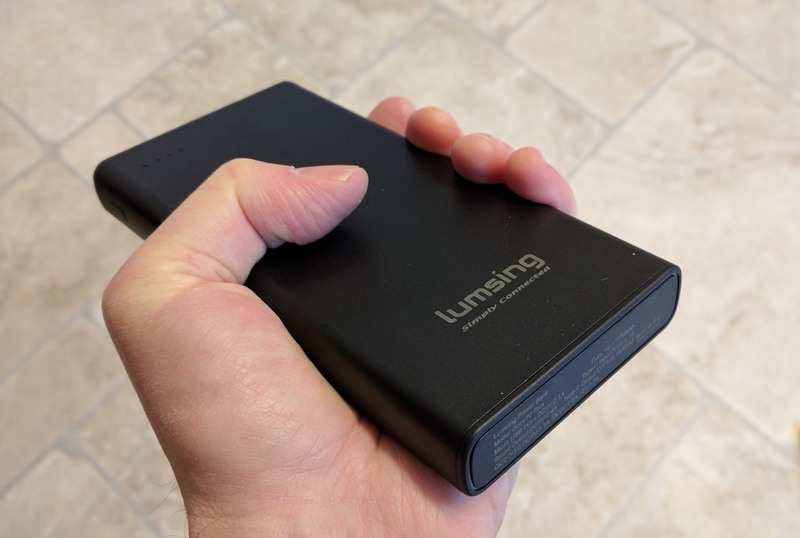 Lumsing is at it again, upping the ante just as I think I've already found my perfect smartphone power bank. 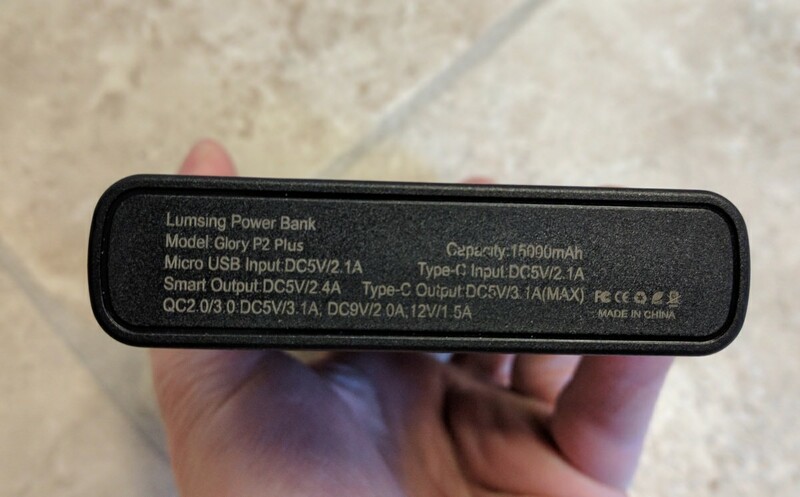 The Unique Selling Points of the Glory P2 Plus are notable here - I'd normally consign a charger review to the 'Flow' column but this one needs more comment - this is not your common or garden power bank. Parallel charging through two inputs, adaptive high-spec outputs, sublime flexibility and there's an exclusive 10% offer too (see my PS). 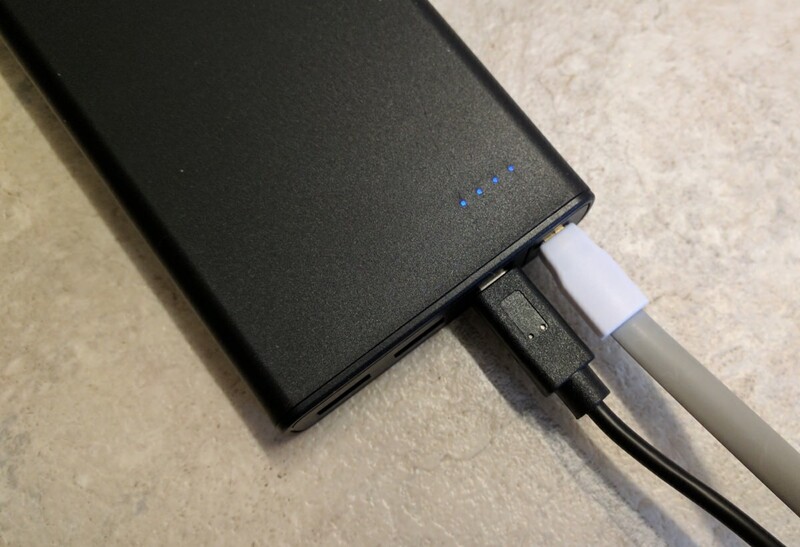 The world of phone charging continues to evolve, with USB Type C Power Delivery (effectively 5V at up to 4A) now a genuine standard, with Quick Charge 2.0 giving way to Quick Charge 3.0 (and even 4.0, though this isn't yet seen in any device or accessory), with some people now working entirely in a USB Type C world and so you can't always lay your hands on a (ye olde) microUSB charger. All of which means that power banks, emergency chargers, have to keep evolving and improving, to keep pace. And the Glory P2 Plus represents the current state of the art. Fill it in half the time, dispense current to three, repeat three devices at once, supply maximum current to just about any current smartphone in the world, and more. standard microUSB input - almost a legacy port at this point, but necessary since when you're travelling you won't know what charging points and cables might be offered. This accepts charge at 2.1A. 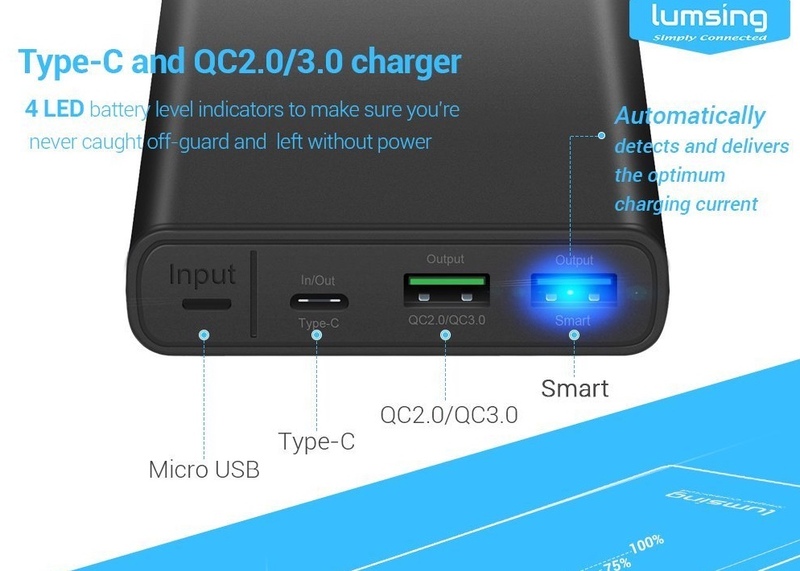 USB Type C input and output - 2.1A for charging the power bank and 3.1A for dispensing current to another Type C phone (e.g. a Lumia 950). Quick Charge 2.0/3.0 USB Type A - plug in a standard USB to [whatever] cable here when charging a Quick Charge compatible phone. Output is 18W, so 1.5A at 12V, for example. And if you plug in a non-QC-compatible phone then this also dispenses 3.1A at 5V, i.e. 'USB Power Delivery'. 'Smart' USB Type A - curiously, this has a lower current limit, 2.4A, at the standard 5V, but this does claim intelligence in adapting its current output better for a wider variety of devices - it worked with everything I threw at it, certainly. A standard set of four LEDs on the top show the current status of the power bank charging up or the status when it's charging something else - and if the power bank needs waking up (some older devices can't kick off charging) then there's a little button on the side to do this. The standout feature, other than the flexibility just mentioned, is that you can fill the Glory P2 Plus itself in half the usual time, thanks to it accepting charging via both its inputs at the same time. 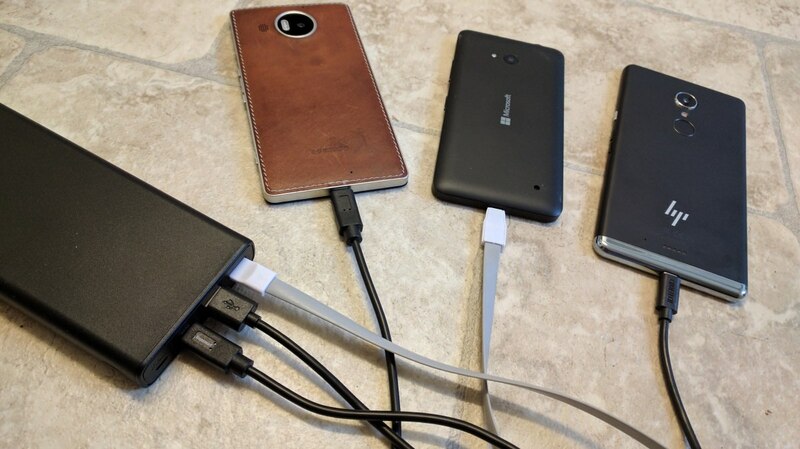 This is unique in my experience and means that, armed with suitable microUSB and Type C chargers (perhaps at your home or office) you can fill the power bank at a full 4.2A. Capacity here is rated at 15000mAh at 3.7V, so if you do the voltage conversion and maths, you can calculate that the Glory P2 Plus should be fillable in less than three hours. That may still sound a long time, but cast your mind back to when you last charged your high capacity power bank - I'm betting that it was an overnight job! In practice, I saw this time borne out - it felt very wrong plugging in two inputs at the same time and I kept going back to make sure the gadget hadn't caught fire(! ), but it worked a treat. The P2 Plus even comes with two charging cables, one of each type, to make sure that you get the message about using both at once. After three hours from a high current mains hub, with two cables connected, the Glory P2 Plus was effectively fully charged (in that disconnecting the cables showed the full four LEDs lit as status), though all the while it's kept 'on charge' the fourth LED stays blinking for some reason. But there's more. All three of the outputs can be used simultaneously, so that would be 18W plus 15W plus 12W, or 45W total, all coming from a 'pocket' power bank, which is pretty impressive. Just occasionally I find myself away from home and needing to charge three things at once - not often, admittedly, but it's good to know that as long as your devices and cables roughly match the outputs here then it can be done. At just under 600g this isn't light, but then again 15,000mAh is quite a resource. And yet the Glory P2 Plus is still pocketable, at least in the UK Autumn, Winter and Spring, i.e. in a jacket pocket, ready for emergencies. It's finished in matt black (here) or matt white and looks hard wearing, with all corners nicely rounded so as to avoid being too jarring in the hand or in a (largish) pocket. The use of coloured blades in the USB Type A ports is becoming standard, with green indicating Qualcom Quick Charge compatibility and blue err.... something else - the colours aren't a hard and fast standard and here blue just means 'smart', it seems. Could the Glory P2 Plus be improved? Well, perhaps an emergency triple LED torch? 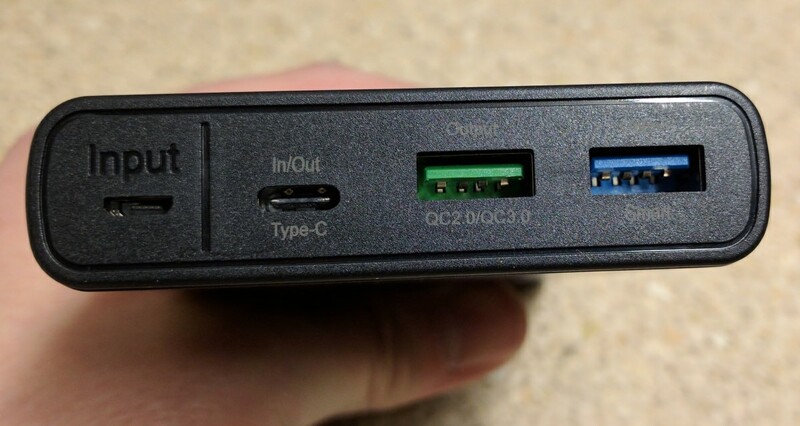 Maybe Quick Charge 4.0 compatibility, later in the year, at which point both the USB Type A ports could simply be labelled QC 4.0? But we have to save something for the Glory P3 Plus, eh? In the meantime, this is just about the most capable and sophsticated pocketable power bank in the world. At £25 on Amazon UK it's well priced and good value for the tech you're getting. PS. There'a also a 'Glory P2 Fit' version, at 10,000mAh, slightly smaller and lighter, and £5 cheaper. PPS. Lumsing have just emailed to say that they're giving AAWP readers a 10% discount until the end of January 2016 of either colour in either size power bank. Just enter promo code GLORYP2A at the Amazon UK checkout.